At an event in New Delhi on Thursday, Gionee launched its two new budget smartphones the Gionee F205 and Gionee S11 Lite With Full View Displays in the country. Both the smartphones have been priced at Rs. 8,999 for the Gionee F205 and 13,999 for the Gionee S11 respectively. Both the smartphone will be available for purchase via online and of line stores. across the country. 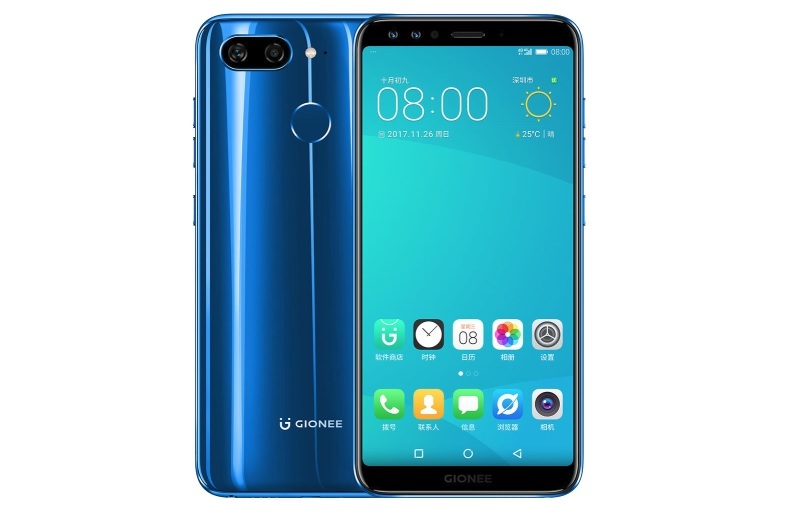 The key highlights of the Gionee F205 and Gionee S11 Liare is FullView Displays (with 18:9 aspect ratio), Face Unlock, Bokeh effect, Private Space 2.0, App Lock, and App Clone features. Notably, both the smartphones come with Android 7.1.1 Nougat-based custom OS, but there are no details on the Android 8.0 Oreo update for these two devices in future. Gionee has also informed that both the handsets have been manufactured in India. The Gionee F205 will be available at Rs. 8,999 in India in Rose, Black, and Blue colour variants. The smartphone will be available from Thursday (April 26) via offline and online channels. On the other hand, the Gionee S11 Lite will be available at Rs. 13,999 with Black, Gold, and Dark Blue colour models and the shipping for both these devices will start by the end of next month.